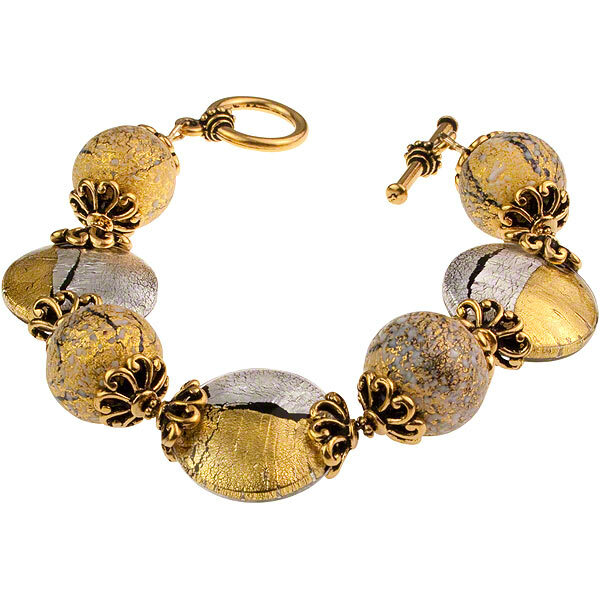 Full of color and texture, this Murano glass bead bracelet is a bold, yet wearable piece. Designed around the two-toned discs which feature both gold and silver foil submerged under transparent glass, they are further accented with textured exterior gold-foil beads. Clasped with a 22kt gold-plated toggle and finished with our signature gondola charm. Fits size 7 to 7 1/2.